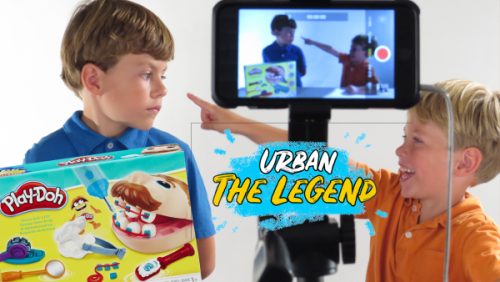 Urban the Legend launches a new YouTube Channel aimed at elementary school kids interested in toy demonstrations and other fun family activities. The channel can be found at http://www.urbangault.com/youtube. Elementary school kids looking for the latest information on learning and kids activities are invited to subscribe to the all-new YouTube channel by Urban Gault, also know as “Urban the Legend”. This new channel promises to provide expert guidance and information on kids activities, on a regular basis. This new YouTube channel was created specifically with the needs of school-aged kids wanting to discover fun ways to learn and spend time with their family in mind, and Urban welcomes input on which topics to explore. Urban’s Mom and Manager also says the goal of Urban the Legend YouTube Channel is to not only provide entertainment, but to be educational for the kids as well. She says more feedback they get, the better they can serve their audience. – Amazon Fire Kids Edition Book Reviews: Urban introduces kids to digital books they can download and read on their tablets. – Toy Reviews and Demonstrations: Urban finds fun games and toys and shows the kids how they work. – Family Places and Events: Urban and his family goes to different places and events perfect for other families.